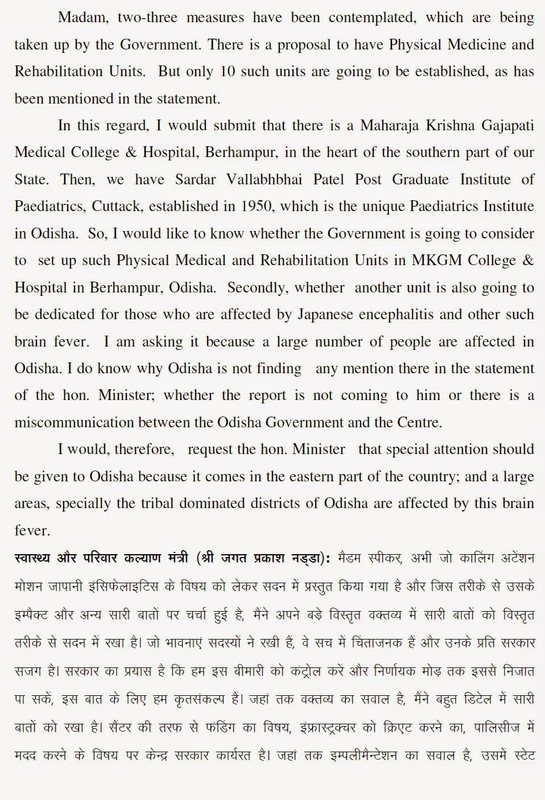 Is Modi Govt serious to curb encephalitis and save thousands of children? 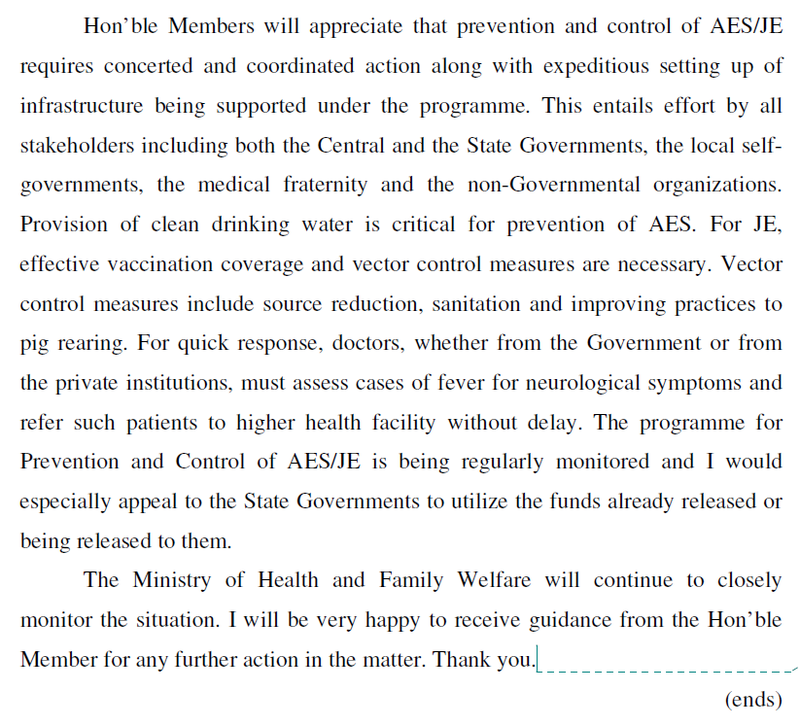 NEW DELHI (PTI Dec 22, 2014): Government today admitted in Lok Sabha that its measures to end encephalitis were not getting desired results as members voiced concern over the disease claiming lives of 1,495 people, mostly children, so far this year. 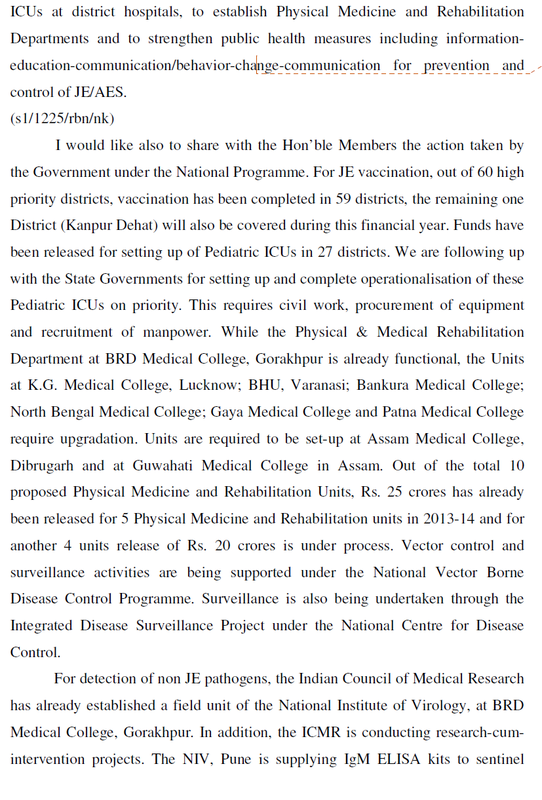 In a bid to increase efficacy of its drive against 'brain fever', which has been rather severe in parts of eastern UP and Bihar, Health Minister J P Nadda said the Centre will also involve MPs, MLAs and local bodies in this. Yogi Adityanath ( BJP) was critical of the Centre, ruled by his party, saying whatever it was doing was not visible on the ground and more children have died in his constituency Gorakhpur than those killed by terrorism across the country. "Despite our policies and funding, the results which should have come are not coming. We are alive to the sentiments expressed by members and committed to deal with the disease," Nadda said. Citing figures, he said five most affected states except for Tamil Nadu have failed in spending central fund released to fight 'brain fever'. Bihar and West Bengal have used less than one per cent, Assam less than 10 per cent while UP has not sent even details, he said. Tamil Nadu has spent over 49 per cent. 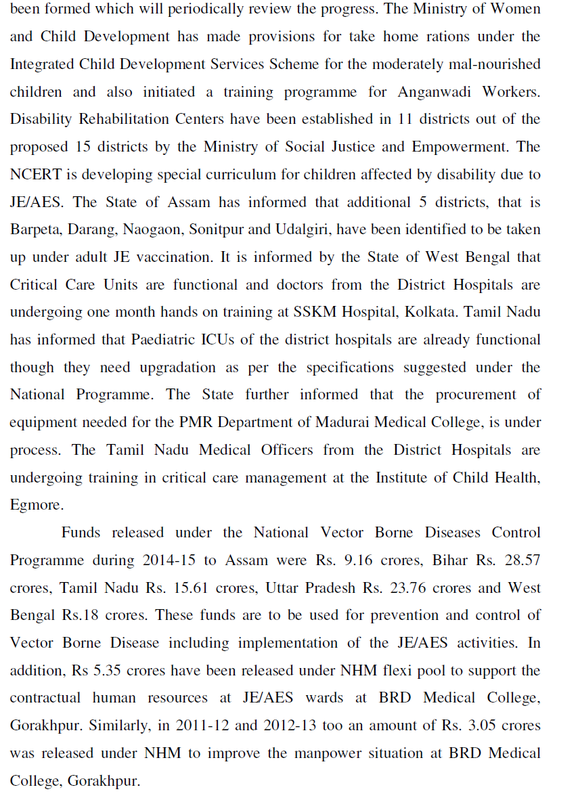 While Japanese Encephalitis has been contained to some extent due to immunisation, which has been completed in 59 of 60 high priority districts, other forms of acute encephalitis syndrome continue to target children. 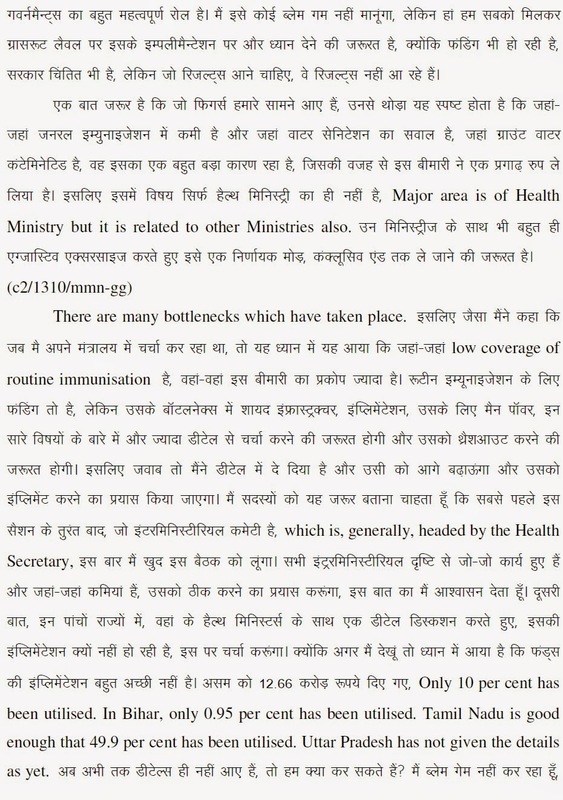 Nadda said contaminated drinking water is a key reason behind encephalitis and regions having a low coverage of routine immunisation too suffer more from from it. Measures require inter-ministerial consultations and there are many "bottlenecks", he said and went on to assure members that the Centre will effectively implement them. 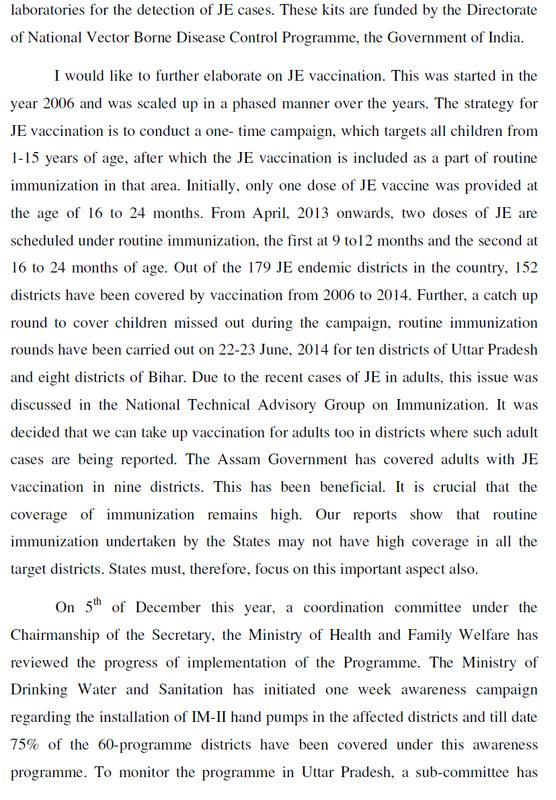 Though encephalitis normally affects children below the age of 15, data has revealed that many adults are being affected, particularly by JE, Nadda said. The total number of cases was 8,344 in 2012, 7,825 in 2013 and 9,912 by December 17 this year and the number of deaths it caused was 1,256, 1,273 and 1,495 in corresponding period. 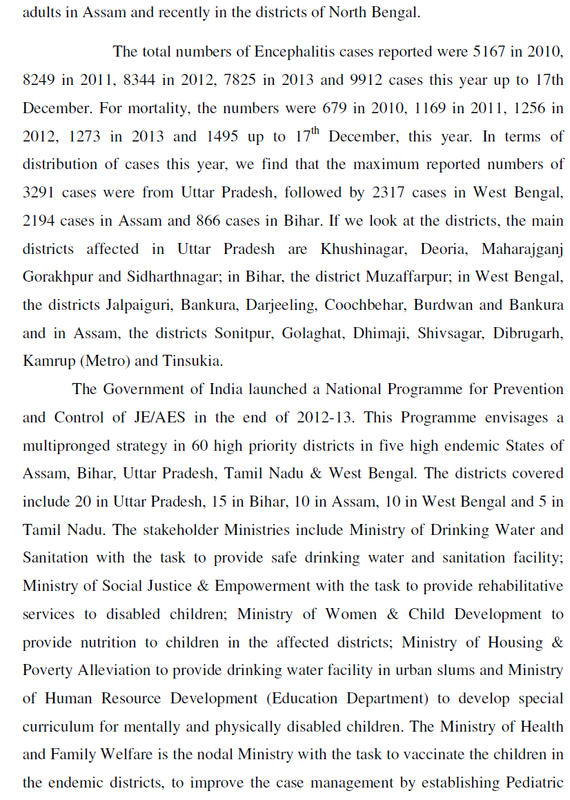 Maximum reported numbers of cases - 3,291 - this year were from Uttar Pradesh followed by 2,317 in West Bengal, 2,194 in Assam and 866 in Bihar. Raising the issue through a Calling Attention, Aditynath said surveillance system in UP is "non-existent" and no facilities are available at district hospitals. It was decided during a meeting chaired by former Health Minister Harsh Vardhan that Gorakhpur will have a regional virology centre, but it has not been set up yet, he said. "Children of Gorakhpur have become guinea pigs for researchers from India and abroad as they come to study their cases but their plight remains," he said.